Picking the right bridal gown is a pivotal decision to make when planning the wedding of your dreams. And we’re here to help you find your perfect match by outlining the latest and greatest trends from our new collection! 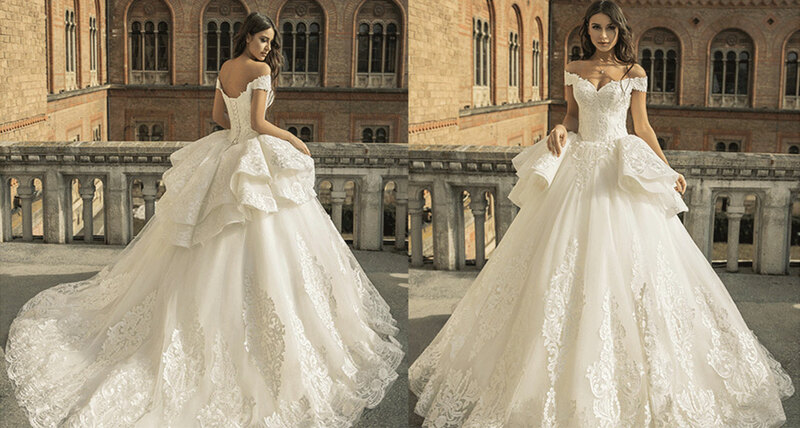 Nothing is more majestic than wedding dresses with a long, flowing train. Our collection boasts many styles of trains that are often complemented with meticulously crafted embellishments to seal the deal, just like this Cordelia lace gown, which oozes style and charm. Florals are back in full bloom on the runways this season in different shapes and sizes. 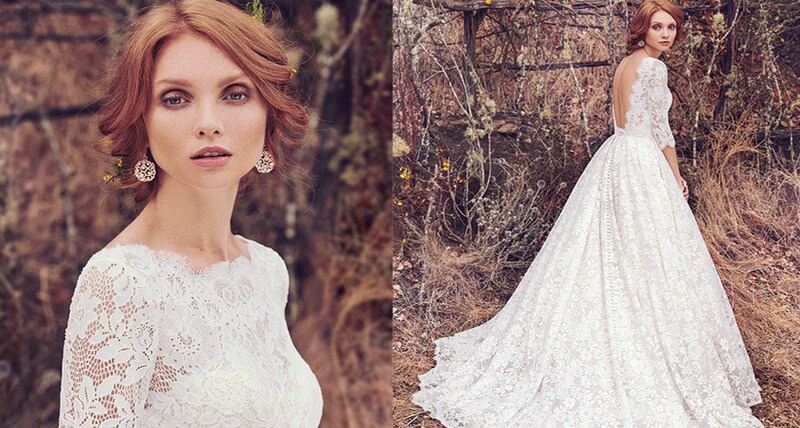 The trend has also spread into the bridal realm with floral embellishments being a highlight of our new collection. Dreamy, charming and extravagant, our floral gowns do not require much accessorizing to steal the spotlight! Classy, chic and timeless, long-sleeve gowns are a stunning choice for fall/winter weddings. Sleeves have received a distinct lace makeover this season in a splendidly enchanting combination that reminds us of Disney princesses and childhood fairytales. Strapless wedding gowns are a widely popular choice for brides worldwide. Instead of going for a standard straight-cut neckline, distinguish yourself from the crowd with a subtly pointed strapless dress for a unique, elegant and distinctively feminine twist. Ruffles made a major comeback on the runways starting Spring 2017 and the trend is still going strong this season and has been fully embraced by bridal fashion, in terms of both subtle detailing and full-fledged ruffled designs, just as you can see with this stunning Rebeka dress from our latest collection. 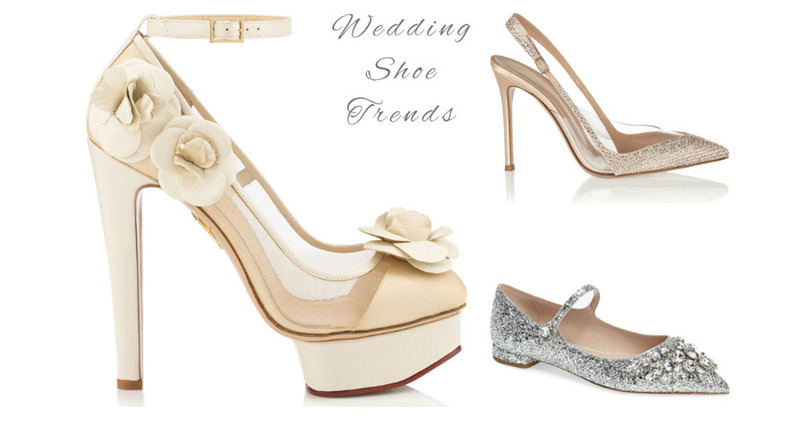 Besides being a huge trend in the bridal shoe department, satin remains a timeless fabric when it comes to wedding dresses that is perfectly suitable for brides with a classic taste. The ethereal feel of sheer corsets make them one of the finest and most beautiful bridal trends this season. Available in different shapes and designs, our sheer wedding gowns are guaranteed to add a gentle touch of magic to your wedding look.